I love this next quote and I hope my writing gets this across. The unknown allows us all to experience things outside of our comfort zones. When taken out of that familiar setting, something as simple as buying a knee brace will require effort and patience to get it done. It’s the lack of familiarity, and assumed ease, that makes the experience – behind door number one, two or three that much more exciting. And this quote applies to life in general, it is not exclusive to travel. Some of you send me rough ideas for WHY Wednesdays…and I thought WHY should I be the only one posting for WHY Wednesday? If you need any inspiration you can search in the categories along the right side of the blog, click on the link for WHY Wednesday and you can see my previous WHY Wednesday posts. Send me your write up for WHY Wednesday. It can be about ANYTHING your heart desires! Email me your very own WHY Wednesday and I will post it as a future WHY Wednesday right here on Simply Three Cents! The Amazing Race started last night! While it’s not at all how I like to travel, I can’t get enough of The Amazing Race (to be referred to as TAR in this post). I like to take my time to soak up a place, a culture and it’s food…except when I happen to be running for a connecting flight in Frankfurt. Of course TAR is edited to show the worst of some people – ignorance, getting mad when there is a language barrier, etc. – but at the end of the day, it IS reality TV. You just have to hope that when the cameras are off, the offending teams are not so insulting to the local cultures. There have been some eye-opening places featured and I have picked some of my destinations based on where TAR went. 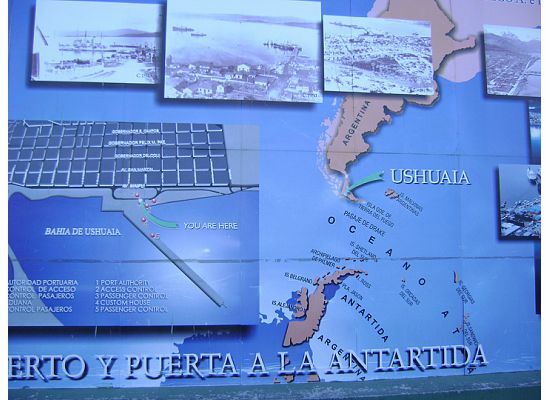 In fact, I couldn’t wait to get to Ushuaia, Argentina – the southernmost city in the world – because of TAR. It also doesn’t hurt that the host of the show, Phil Keoghan, isn’t so bad on the eyes. If you watch, have any of the destinations featured on any season of TAR inspired you to go, or plan a trip, there? How then is it that a flight, fully loaded with passengers, luggage and fuel, needs to get three tons, yes THREE TONS, off of the plane prior to take off. Yes, this happened because my parents were on a flight with this problem just the other day. First they were told that the longer a plane sits on the ground in a warm climate, it expands, and becomes heavier (raise eyebrow here). Then the pilot apologized because apparently someone messed up their calculations since the configuration of this particular plane was not typical to this route…was this the first time the plane was in use? No, because it had traveled from SFO – HOU – PHX just that morning. At least they were making someone accountable – whether that person knew it or not. I guess they thought removing only five passengers and their luggage and then proceeding to dump fuel is a good idea. Isn’t the purpose of scales to control the weight on a plane? Or just to ensure the airlines charge passengers fees? Would there be enough fuel for the flight? I am sure airlines are very aware of the price of fuel and try to only fuel up their planes for what is required to make that particular journey. Why was that plane so overloaded with fuel in the first place that dumping it would make a dent in the weight of the plane. And would that affect the plane to get from point A to point B. When they dump the fuel, with passengers still on the plane, where does it go? Does this cause a fire hazard? I’m sure it’s not being spewed on the runway but is it going to cause a flammable situation? To dump fuel is one thing, to lighten tons of weight is another. That’s a lot of fuel. Can it be reused? Dumped? My parents had thought this was a one time thing but I had a story of my own to share. A few years ago I was with colleagues and we were waiting to board a flight from LGA to DFW. The flight was over that weight limit as well. They would only board passengers who had to catch connecting flights out of DFW. It was a business trip and there were three of us, with many presentation materials. Since our final destination was DFW, we made arrangements to fly out of JFK on the next available flight. This crew knew the flight was going to be over the weight limits before they boarded the flight but they did not board by row. Instead they boarded by destination. The crew announced various onward destinations where passengers on this flight were headed and only allowed those passengers to board. If you were only traveling to DFW, you were denied boarding. Have you ever been on an overweight plane? How did they alleviate the weight? Share your story in the comments below.